We are on the road again. We will be in Rochester sometime this evening, for doctor appointments the next few days. I know George isn’t a big fan of the trips, so it’ll be interesting. I’m still going to try to blog every day. Had I been far enough ahead with all of this, I would have had my blogs ready to roll before we left, but that’s never worked out so well for me! If I plan far enough in advance, something always falls through. Oh well, our lives are exciting to say the least! 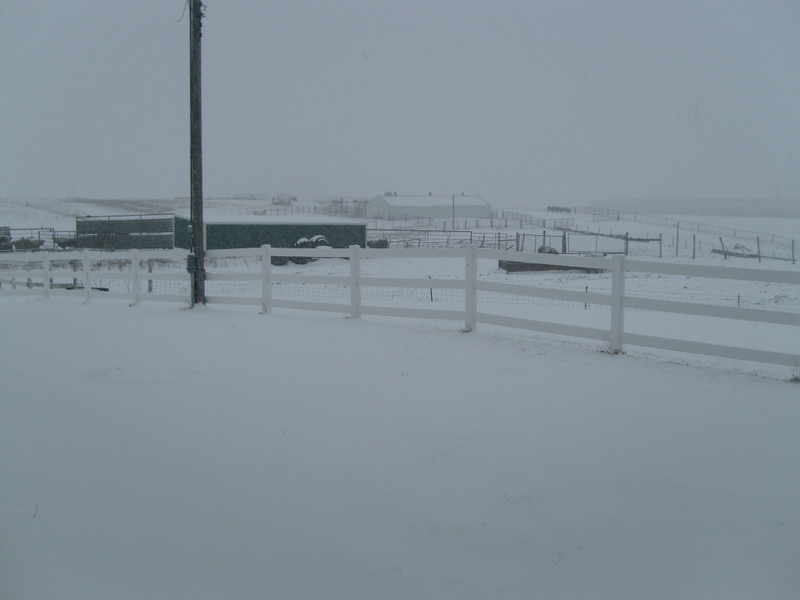 Spring has decided to play games with us, and winter has once again reared its ugly head. It’s snowing now again, as we speak. Yuck. I’m ready for sunshine and green grass, but maybe that will be here when we get back? One can always hope. 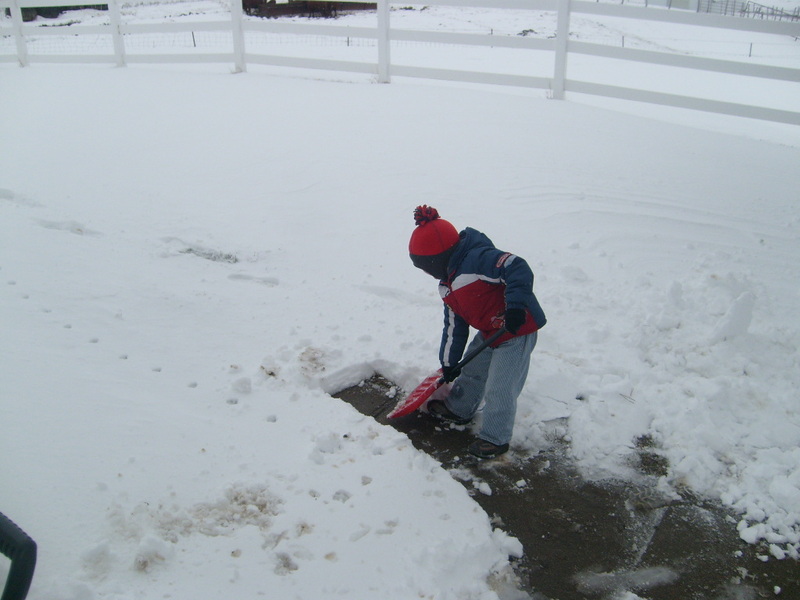 Here’s a few pics of EJ being helpful and shoveling our sidewalk. Love his enthusiasm! Not what you want to see in April! EJ love the "shubel" that Grandma B. gave him for Christmas! Maybe next year we will get him a snowblower. “Little Star…Raising Our First Calf” by Twins Rianna and Sheridan Chaney. It’s a great story about twin girls and their experiences on the farm. I love how they define words in children’s terms at the back of the book. For example, “Manure – A fancy name for cow poop.” The pictures are great, and my kids love to see other kids involved in agriculture. Kindred souls, I guess. This entry was posted in About me, Ag Books, Calving, Cows, farm fun, Farm life, Medical mystery, Medical road trips, Reading and tagged Ag Book of the Day, agriculture, agvocacy, children, children farming, farm life, farm questions, future farmer, life on the farm, medical road trips, ornithine transcarbamylase deficiency by wagfarms. Bookmark the permalink. Yes, it looks as though a snow blower would be put to good use:) Hope it melts out soon for you! And did I point out that they seem to be a certified inexperienced enterprise and B-corp ? This can be a beneficial skill of their future working life and would undoubtedly assist in their profession. €10 is totally free no deposit required for these. get 4 emails with the exact same comment.